Same Model Used By Law Enforcement Personnel. Ideal For Auto Or Home Use. Velcro-like Attachment Included. 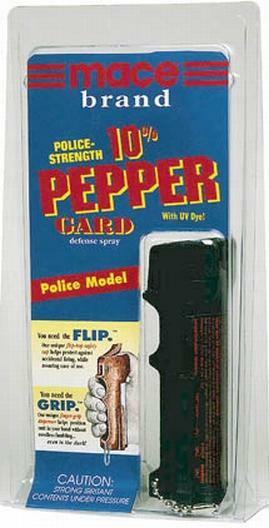 Features Flip-top Safety Cap, Finger-grip Dispenser, Belt Clip & Keychain. Sprays 8-12 Feet. 18 Gram Unit Contains 10 One-second Bursts.